Farmer’s suicides seem unabated, they continue! Yet, no systematic response is in sight! It is easy to blame the government for many of the ills of governance. The Prime Minister is blamed routinely for many of the ills and lack of governance in some critical areas. Farmers’ continued suicides are not in this category. Farmers constitute the most weakest part of the Indian economic growth story in the present stage of economic development. Farm credit has surged from Rs.1 lakh crores in the 2000s to nearly 8.5 lakh crores in 2015-16. 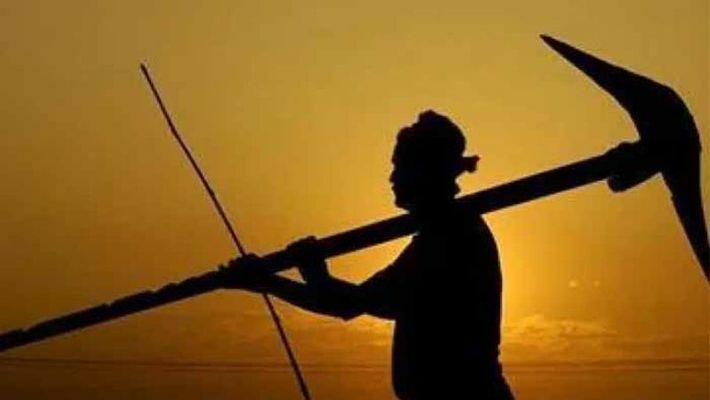 Given the size of the farmers population, also considering that 60 per cent of the Indian people are still dependent upon agriculture for their living, is it too much at all? We request Mr.Modi, the Prime Minister, to make a drastic change in the unbalanced share of loans in the urban-rural divide! All recognised farmers, big and small and all recognised farmers must have direct access to bank funds. That makes Mr.Modi a living god to the millions of farmers who are now subjected to untold oppressions and suppressions. And the Prime Minister rightly puts his emphasis on development and we at the Vadamalai Media believe in constructive approach even when we want to point out what needs to be done and what can be done in a sector like agriculture. We feel that the government must think in a systematic manner. There present state of agricultural credit, farm loans directly to farmers is not in keeping with the trends in direct transfer of funds to the weaker sections, to the last man. There are enough statistics with the government to show that only 13.5 per cent of the farm credit directly goes to the farmers. This, by any stretch of imagination is far from satisfactory. Also, there is statistics to show that with the farmers heavily in debt, the proportion of debt with the private money lenders is very high, 44 per cent of the debts with the rural households is from the private money lenders. This needs to be brought down. Also 40 per cent of the farm loans in Maharashtra are disbursed from the urban and metropolitan branches of the banks. It should be obvious to anyone’s common sense that this category of “farmers” are really urban borrowers, mostly non-farmers and also the loans are for non-farming activities only. And these loans are advanced in summer months and not even during the kharif and rabi seasons! One can go on and on with this sort of highly unsatisfactory state of affairs in the rural set-up. What can be done? Surely, the government must make fresh surveys wherever they want and they must ascertain the actual number of small and marginal farmers and make a new policy to directly transfer loans to the would be beneficiaries. And, please look at the functioning of old institutions like the Nabard and also the newly created and we suspect, on-functioning Agricultural Insurance Corporation. Make them all functional. When there is a rush to start so many insurance companies in the private sector, why not invite some foreign or domestic PSU insurance companies to partner with the agricultural insurance. Any among of funds allotted to this agri insurance would be a great public service and public investment. Please take time off, we say to the prime minister, and devote some time, quality time, as they say, to the woes of the rural distress. Farming is a challenging activity anywhere these days, be it the USA and Europe. Just now, we read in the London Financial Times that even in France where there has been a bumper wheat harvest and yet, prices fell and the farmers, owning as much as 250 acres (which is small farm there! ), is in distress. That is why in the USA and EU farm subsidies are very hefty payouts! In India, with all our tall talk, we are depriving our farmers. At any time in history, it is food production that saves a nation. Indian history is no exception. So, we say to the government, don’t neglect farmers, rural India where we will have always the very foundations of a strong agricultural prosperity. Will there be villages in the future? Who can give an answer? There are always either doom stories or boom stories! When it comes to our villages! Indian villages would thrive as ever as anyone can look into the future. 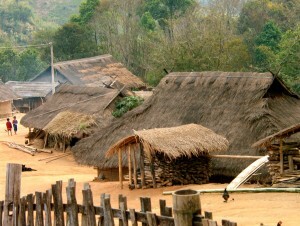 Villages have lived in all developed countries. In UK, the glories of the countryside is celebrated. There are any number of legends and folklore! So too in the continental Europe. Go to any country, Germany or France. There are strong rural communities. There is a strong agricultural base in these countries. So too in other developed countries. As for the big countries, big geographies, there is no doubt that villages are still their strengths. Russia, China or Japan. In India, it is an ancient country. Our history is long. So too our rural side. What is now the critical question is how we look at our rural India. What will be the look, its ethos in the future? Both the short and long-term future? Surely, the three areas we like to concentrate here are: the village economy. The rural land holding. Second, the rural administration. The Panchayat Raj system. 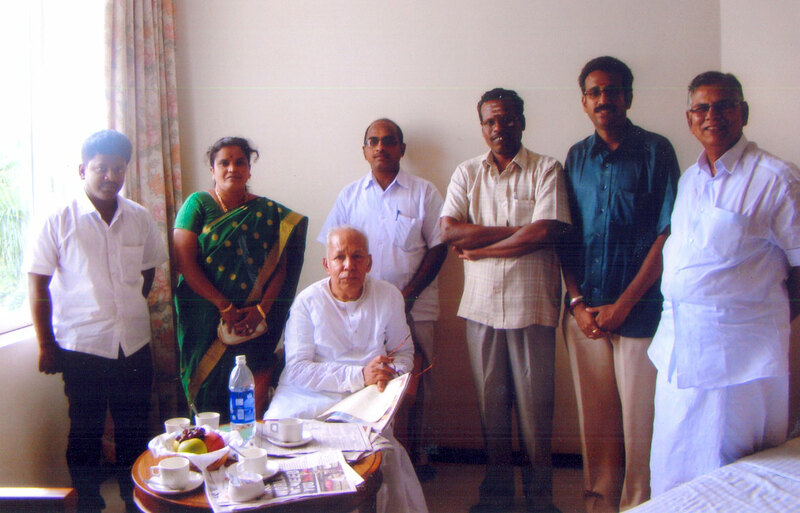 Third, the rural society, the castes groups, the political formations, and the way the rural society would evolve. As for the rural economy, rural wealth and wealth holding. There will always be the landownership pattern. After 1799, after Tipu Sultan was defeated, killed in the Sri Rangapattanam battle, the land ownership in the South passed on to British administration. The Ryotwari system created direct link with the government and the peasants. Today to, the very same system persists, though the extent of land ownership had drastically changed from big landowners to small, marginal land holders. There is now no legally described big land owners. But there are now a net set of realities that make us to see the emergence of big land owners, who emerged as land grabbers, land buyers, the real estate market today makes any rational discussion of this extremely sensitive and complex subject very tentative and also very secretive. Certain realities can’t be discussed so openly. The point is there is always in the rural economy a great deal of inequality and also inequity, if you so desire, in the ownership of landed property. In every village there are only one or two big land owners. Call them by any name you fancy, they are land lords, or big land holders or land owners by so many descriptions. This unreality of land ownership today has come about through populist politics. There are also as many laws pertaining to the holding of landed property. You ask any land owners, big or small; you can’t get an exact answer to the extent of land he or she owns! Also, there is the reality that there is a great deal of inequality in the rural society, old or new. That is as it is. Once you conceded or recognise the existence of big land owners you have to admit there is bound to be inequality. With inequality comes also the question of inequity. This is only for politicians to discuss and debate. Politicians these days typically are hypocrites. They, the practising politicians are themselves are money makers by dubious means and one way of holding their wealth is to buy land or better still grab others lands though illegal means. That is how the land grab has become a hot property in states like TN and elsewhere. May be in every state of India! So, the future of villages, as they are today will continue to be an unequal society. But to the surprise of many, rural society has always lived in this unequal society, learnt to exist as a cohesive society, in fact, to the point of like a family unit. The villages are like joint families. This, in our view, is the greatest strength and foundation of a village society. There is much justice, truth and honesty in the lives of village people, unlike in the anonymous urban societies. In the cities you often don’t know your next door neighbour for years together! But villages are different. Of course there are now changes here too. Villages are changing. There are urban migration. There are new faces coming into the villages. So, there will still be the rural .highly closely knit rural societies. So, what is the future of landownership like we must opt for? In our view we have to encourage having some big land owners to live in the villages. That way the villages acquire some character, some value system, there will be the comfort level for other castes, other lesser economically viable professions like dhobis, other professions like rural farm labour and other unnamed castes and their traditional professions. The rituals and ceremonies during birth and death and other such occasions, the very fundamental reality of the Sanskrisation of society has to be given a life of its own. Who are you, be a politician or a reformer to change this tradition? No one has any right over others. The Indian society would thrive only on some such foundational values. It is tradition, history and social beliefs and convictions, religion, tradition and what have you. Such forces only would shape Indian villages and their future stability and more so their sustainability! Then, the newly created Panchayat raj. It is okay so far. But it needs much more radical changes and reforms.In short, let us follow some states like Karnataka where the panchayat raj was given a serious try by Ramakrishna Hegde and it needs further democratisation in decision making at the district and grass roots level. The third component. Rural development. Land acquisition etc. Here too we need some deep thinking and new policies to help the rural, district level life more meaningful and more democratic and more freedoms in decision making. Now it is still an inspector’s raj! It is still an autocratic rule. All this has to change. We invite a debate afresh on these very sensitive and critical questions of the future of the Indian villages. Where is rural India? It now merges with the urban India! The greatest rural transformation is taking place now! Increasingly, urban impact, urban opinion might swing opinion in the rest of India? It is said that the distance between the town and the countryside is narrowing. And narrowing faster these days. The Up riots at Muzzaffarnagar soon spread to the countryside and it was all in the rural areas. There is now enough to show that half the village households work in non-agriculture occupations. So, what happens in the urban areas, say for riots, and now spread as fast as in the urban centres. At Independence agriculture was in 60 per cent of the GDP, now it is barely 14%! More than 58% of the net domestic product is from the non-agricultural sector. There are lately many new facets to the rural urban divide, if there is a divide anymore at all. Economic changes first, then, poltiical changes too next. So, we seem to be living through a time when the very earth seems to have slipped out of the village world. With the currently charged political environment where we witness new tensions and communal riots, it is not right to call them even as riots for the riots are associated with certain parties and groups, the future of the rural economy, the future of life in the strictly village environment might take some more dramatic unforeseen shapes and implications. Not just in the North but also in the South we see more rural areas getting transformed into urban agglomerates, as they are now called. Why the land acquisition bill? Why the food security bill at all? There are enough freebies, from colour TV sets to free laptops that the voters have lost count of the number of free schemes available in any state that goes to the polls. The very face of rural economy, the agri sector are all poised for some radical change. In fact, rural people, agriculturists in particular or small scale medium industries sectors don’t bother about these changes at all. Even about agriculture the average agriculturist, doesnt bother. It is again the urban readers, the urban well-off sections, why, it is really the corporate, the bankers and the industrialist and those engaged in the industries and services, food processing, food exports, imports etc are the ones who are interested in what is happening and what is likely to happen in the agri sector. Who wants crop estimates? Who wants data about the reservoirs and dams etc? Not the ordinary citizens. The government, as it is increasingly seen, is least interested in genuine rural institutions, the co-ops and the other government depts. that directly impacts the lives of the average farmers and villagers. How these rapid changes might impact the outlook of the voters, both the rural and urban voters, is everybody’s concern. Here too the old ties, the family and ethnic ties, village ties have all given way to new loyalties and new signs of status and authority, respect and other traditional virtues ad values. Superior and inferior, fairness and unfairness have all changed and new forms have come to engaged the consciousness of the new voter-banks! Yes, alit parties are as many as they are castes and subcastes. The middle classes, you can’t country anymore. Every day you can see new castes coming and claiming new status and new listing in the calendar of the quota politics. TN has the largest quota, 69 per cent. In other states other forms of quota prevail. 21% rural kids go to private schools, mostly to English-medium schools. These families, more aspiring for more dreams, may not be swayed by the food security or land acquisition bills, say observers. Now it is estimated that nearly 200 Parliamentary constituencies are seen as urban as any. The There are now more urban areas, more growth in urban centres, less growth, if any, in the rural areas, the next elections might be fought and won(or lost)on the increasingly urban political opinion that swings the rest if India. With the BJP taking a new assertive, even militant stand on a range of very sensitive and controversial issues, what change for peaceful change? In times of crisis situations a why even bloodshed, as in the muzaffarnagar riots, we have to have new articulations for calming the tensions and resort to violence.People are now awaiting the time, 2014 elections not far away and who knows what would be the over-all motivation for change. May be we can chart out a list.Corruption is people fed up with. So, if the party in power is insensitive to corruption on such wide scale where the very top leadership is accused of participation and non-action, then that could be a legitimate factor for change. So too the rise in prices, inflation. It is becoming everyday nightmare, the petrol price, diesel price rise and food prices rise.These are impacting the imagination of the rich and the poor. It is a pity there is no effort to modify this outrage about inflation. As Prof. Galbraith, a friend of India, said long time ago in one of his lectures he delivered at the Indian International Centre, that people need to work harder, as the Puritans, one religious group of great fame, the work ethics has been changing through the years and if people don’t work harder, then, it is inevitable there must be some incentive for working harder. That is the price incentive. It is inflation in simple terms. Certain level of price rise, inflation is reasonable and it is part of the tendency of modern man to search for more leisure and less work. As in France! But we have to realise that no economy can grow unless there is strong incentive to work hard and produce wealth. In China we found people working harder and their progress, compared to India, is faster. Any leaders who visited and came back told us so? No! Why? May be sheer ignorance or lack of honesty! We, Indians have to look into ourselves. Are we honest to ourselves? We ask the current crop of the politicians? You want all impediment to be removed be it RTI, or Criminal offences or other electoral malpractices? Anyway, people have become more alert and they might show us the way. The future of Indian villages! Elections and the rural rich! 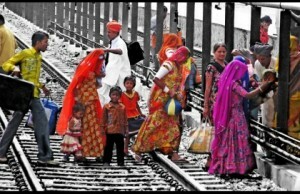 How rich-poor divide will keep Indian villages always exploited! Rich candidates vs. the poor voters and the constant picture of rural India! Agriculture, the largest employer still and yet the rich politicians, the dynastic successors will define the future of the villages and the future of India as well? We need a grand vision. Who can provide the same? Yes, we want to write about the agriculture sector more. More about lives in the villages. It is very tempting to do so we just now read about the elections at Uttarkhand state where 54% of farms are less than two hectares. The hill districts, 11 mountain districts read life a tragedy. No politician in the elections spoke about agriculture! Why, this is the same story in the agriculturally rich Punjab where the two contending leaders, Mr.Badal and Amarinder Singh are the richest and the biggest land owners! Who cares? Money, more so the liquor flowed and yet the poll was peaceful, though the six TV channels and the three major dailies were issued show cause notice. So, this is all too electoral politics? The rich candidates and the poor voters, or the rich vs. the poor will widen only. That is politics and that is also economics too! So, for a change we want to ask some hard questions. Will there be villages in the India of the future? Will there be a rural society? India is a large and diverse country. However, the Indian growth story, as it is called by insiders and outsiders, is what catches the attention of many sections of the Indian audience as well as the foreigners. Now, there is a slowdown, if not a plain fall in the growth rate. The current rate is something like 7.5%.This is compared most often with what China has been achieving, growth in 2011 at 8.9%, without taking note of the two countries very much diversity. The two countries are facing different set of challenges. In China there is this great urban migration on a large scale, it seems. China is a great exporting country; it is the Chinese export-led growth that is in contrast with the largely internally growing economy that is one big contrast. China is now concentrating, we are told (see the latest Economist magazine) on building railways, roads and housing. So far it is noted that about 160illion migrants from the countryside to provide the cheap labour in coastal cities that concentrate on export industries. Now, there are reports about unrest in the industrial factories, there are demands for higher wages and even there are unrests in village administrations and also there are political changes with the latest 18th Congress of the Community party since it was established in 1921 and a new set of leaders are going to take parting the change of leaders. We in India don’t have any such situation. In India, we have democracy and now there is a sense of pressure in India for change with Prime Minister Singh running off steam, as such, with a series of corruption scams that have tested the patience of the people. What is talked of now in India is the subject of a policy paralysis. What is this policy paralysis? There is a series of confusions since the starting of the 20-G scam came to the fore. The UPA-II has proved to be a coalition of vested interests. The political allies of the Congress have developed their own vested interests; the Trinamul wants to take cover under some imagined state autonomy. This is another name for non-performance and in fact the regional ally like Trinamool is faced with a serious policy paralysis. Even the basic minimum administration is missing. The CM has taken too many gambles to prove how ineffective her g hold on the administration is. The series of unforgivable infant deaths would have removed the last bastion of any sympathy for her even from her own admirers. So too in the South for the AIADMK. The CM had won such an overwhelming election success but once in power she proved that she has no other agenda except to undo whatever development projects the DMK might have done. Of course, this is no excuse to leave out the vast number of scams the DMK ministers and their strongmen like land grabbing has indulged so far. These are two examples of how the coalition parties have proved their use or non-use. So, the question is both political and administrative. In terms of politics we see the Congress has no great vision whatever and whatever little it had it evaporated under the ineffective leadership of the poor PM. He is not a naturally elected leader. Unless, the Indian polity evolves as a genuine democracy, it adheres to some basic democratic and parliamentary principles; it can’t manage the great many challenges. As per the latest opinion polls, the Congress stands a very slim chance of winning in the next elections. So, there is the big question mark. How to compare China with India beyond a point? In China, the Communist party dictatorship is there, in spite of the latest news about unrest in large parts of rural China and also in industrial establishments for higher wages. But it looks, that India must become a place where large private investment, both FDI as well as investments by private sector must come from. To make the next plan, the 12th plan, a success, it is noted by all, even by those who all attended the World Economic Forum, both the Indian participants as well as the foreign experts, world bank and IMF officials and others, India must attract more FDI, more investments. This is said so many times and we in India must also realise what outsiders say. India is seen as the clear favourite when it comes to investment. Though at present China might be attracting more investment, our democracy and open society must be seen as a long-term advantage. How to ensure that such a democracy and open society addresses the great concerns of the largest number of people, the mass of the people, the poor and the disadvantaged. Here only the role of rural India, the role of our villages come into top priority areas. One great disappointment is that we have some clever men as Cabinet ministers. But they have proved flops: P.Chidambaram, Kapil Sibal and even lately Jairam Ramesh. They have suddenly become non-performers. Why, even the health minister is seen nowhere. Thus, critical areas like education, health, rural development; our much-hyped panchayat raj is not discussed lately. This of course includes the very top issue of agricultural transformation. Of course Sharad Pawar is talking lot of practical common sense. But as a policy maker, as a great growth strategist what is his contribution? He is seen as a cricket-loving man. So too his one or two other party colleagues. Thus, our agriculture suffered. In the sense our farmers continued with their suicide tales, there is much neglecting terms of policy reforms, no emphasis on rural credit expansion. We expected him, as great Maharashtrian leaders with an impressive track record in co-operative sugar industry would take forward the co-operative principle to launch some big schemes like an all India co-operative bank etc. As for civil aviation, it proved a disaster under Proful Patel, his valued colleague. So, somethings stick in public mind. We associate with some leaders for some failures; success rare is noticed, of course! We have to see that the Indian villages won’t go away! Indian villages would continue to define Indian unity, Indian values and Indian mindset. There are now talks of smaller states. More smaller states welcome! But let us not forget with more states our rural mass of people will get their due. More schools, education opportunities, more panchayat raj institutions getting more funds and autonomy, with the latest technologies, a better and justice-driven distribution of foods and opportunities, more employment and the Indian youth and the Indian future become more tuned to a stronger India.